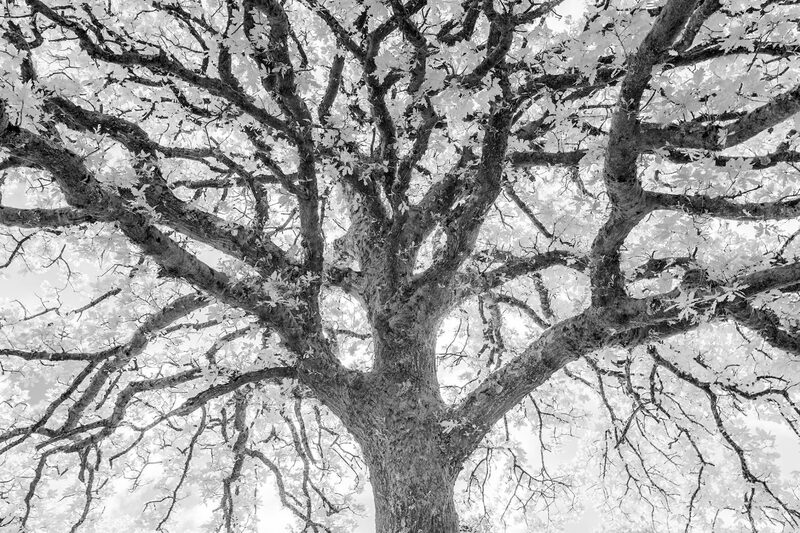 Thinking about an infrared capture for the Black & White Photo Project? Michael Hudson, winner of last competition’s, talks us through his capture. How much planning was involved? Did you go out with an idea of the kind of shot you wanted? I was on holiday with my family in the area and I had read about the Wood where the shot was taken and was hoping to photograph it. But it was hard to find on the map and I had just about given up hope of finding it when I realised it was a field away from where we were staying. I actually walked there twice that week. I had an idea for the type of shot I was looking for. I’d made images of trees from a similar angle, looking up the trunk at the full branches with a wide angle lens, but each one is different. What I like about this one is the moss covered branches and trunk, and the bright backlighting. Can you tell us a little more about the image and the kit/techniques used? I used to shoot a lot of infrared film many years ago, which was tricky and temperamental to work with, but if you got it right, the results were very beautiful. I’ve hired an infrared converted camera a couple times now and I really like the look that the infrared camera gives me. I always convert infrared to black and white in post processing as I don’t usually like the effects it has on the colours. I like the full feeling of the image, the way the tree fills the frame. And because it’s an infrared image, the leaves don’t dominate the picture, but instead, the branches do. It’s a simple image, but there’s a lot of detail in it at the same time. I also liked how the branches, covered in moss, have a very old, weathered look. Did you do much to it in post-processing? As a raw, infrared image straight out of the camera, it needs a fair amount of processing. First I converted it to black and white, then I boosted the contrast and clarity, to give some sharpness to the details in the branches and the leaves. I brought back some detail in the highlights, but not too much as I like the backlit feel to the image. Do you have any tips for capturing infrared imagery? often wasted a lot of film to get one good shot, it’s easy to experiment with digital infrared. Enter the Black & White Photo Project now.